People like to talk about that "light bulb moment" in poker, business or whatever where they suddenly got it and then they were able to crush their competition. I have been playing online poker for over 10 years now and there have been several of them. There is one particular moment though which happened very early on in my poker career that stands out among all others. And it is still to this day the guiding principle and reason behind why I play this game. And why I succeed at this game. Hopefully this will help some of you out in your games. I, like many others, started playing poker during the mid 00's when it was all the rage. Chris Moneymaker has just won the world series. The WPT was blowing up on TV. And of course online poker was beginning to take off. But a part of my poker career that I have never really talked about is the full year that I actually just played for play money before I ever sat down in a real money cash game. I never had any intentions of ever depositing any actual real money. I was certainly never much of a gambler. And like I said, I had no clue if poker was even beatable from a skill point of view. And also if it was, would I even receive my winnings? Well none of this mattered because I was grinding the play money games day and night. And a funny thing occurred. I started winning big. I started climbing the ranks and eventually I was hitting the "high roller" play money tables on Partypoker and PokerStars playing for millions. Many of you might have a similar story. Anyone who takes this game seriously at all should be able to crush play money. The reason why is that when nothing is on the line nobody plays seriously at all. Even to this day all you need to do to beat the play money games is play tight. But this really was my first lightbulb moment in this game. Surely I couldn't just be getting lucky every single day right? I was one of the first to hit 20 million on Stars, the limit at the time. Why did I always seem to win more than everybody else? The reason that I was winning so much was because I was playing better cards than my opponents. I also figured out how to bet those hands when they connected with the board. And lastly, unlike everybody else, I learned to make use of the fold button sometimes too. As long as my competition makes more mistakes than I do, then I will eventually win. Now I would eventually go on to sell a bunch of my play money riches for a real money bankroll. I have never deposited a single penny online to this day. This allowed me to overcome my hangup in that regard. And I certainly did not expect the real money tables to be as easy as play money had been. I was in fact shocked by the difference when I started at the very lowest stake, 1c/2c. When even $2 is on the line people play completely different. However, the same principles applied. I was an absolutely terrible poker player back then. My only real strategy still was to "play tight." Oh and bet my hands and find the fold button once in awhile as well. But this was still easily enough for me to crush these games too. No matter how bad of a poker player I was, my competition was still far worse than me. So I slowly climbed up the ranks in the real money games as well having huge success along the way. Now of course this isn't 2008 anymore and the online poker landscape has changed considerably. The regulars are much tougher even at the very lowest stakes and the fish are harder to find. This has reduced the edges quite a bit. Many of the ridiculous winrates that I am famous/infamous for in the past are simply not possible in today's games, at least while mass multi-tabling as I always did in those days (24 tables). If you play against competition who play worse than you, then you will win in the end. So this is why I have consciously made a huge transition in my approach to online poker in the past 5 years. The days of sitting down on 24 random tables are long gone. I never sit down at a table these days unless there is a clear reason to be there. I have talked about table selection to no end on this blog and elsewhere. And I have even been called the "bumhunter king of the micros" among other pejoratives because I suggest an intelligent approach to the game. You see as the games have tightened up in the last 5 years everybody else has been trying to re-invent the wheel in online poker. They study complex mathematical theories like GTO, make sure their triple barrel range is merged, count hand combinations and on and on. Me? I am just trying to find some bad poker players to play against. I play tight against them, I bet when I make a good hand and I find the fold button once in awhile. And I win. I don't play poker in order to outwit good poker players. I would rather play chess or Starcraft if mental masturbation was the goal. I play poker to make money. I have said it before. If there comes a day when there are no more bad players in poker I will quit the game forever. I will also stop writing on this blog, writing books, making videos etc. But that day has not arrived. There are still plenty of people out there at the micros who play worse than me. Sure, it requires some effort to find them and chase them around but I do it because I know why I play this game. And heck, there is always still live poker too. Play against people who are worse than you (preferably far worse) and you will win in the end. Poker is really a very simple game and many people over-complicate it so much for themselves these days by searching for tiny edges against good poker players. When you know your "why" in this game though, then you will stop with all this silliness. Much like I avoid parties with all dudes, I also don't sit in poker games with all good players. You will instead find me playing against people who are considerably worse than me. I will play fairly tight, I will bet my hands and find the fold button once in awhile. And because of this, I will keep winning. Let me know your thoughts below on this article. 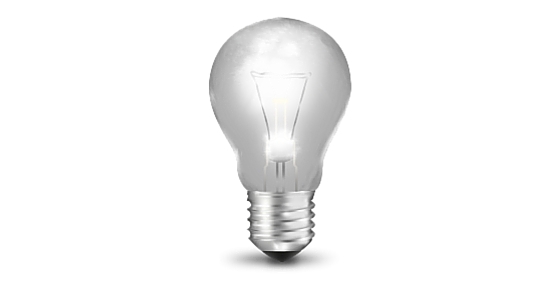 Did you have a "light bulb moment" in your poker career? Nice writing, there is nothing much left to be said on this. However I'm curious about what do you think for how long the games at the micros will still beatable on a considerable rate? That is a really tough question to answer. There are so many different variables such as the opening up of new markets and agreements with various governments, especially the US. You also have changes within the poker ecosystem itself such as rake and rakeback adjustments. I think a lot of people, myself included, do not believe that the games have actually even got much tougher in the last several years at the micros because we are already getting close to the minimum viability with regards to winrates. The real big winners in online poker have always been the poker sites themselves. They are well aware that they have to keep a certain competitive edge available for the best players to win or else the whole system will collapse. They won't let this happen because there is too much money in it for them. So I actually never see the games getting to a point where they are unbeatable. Thanks as always David and glad the article helped! Hi Nathan. Reading your article was just an huge confirmation of my intentions for the future. I was going up and down from NL2 to NL10 in last two years "beating my head" and running back "sillines" and wasting time and surely some profit. I had "normal" winrates for those levels but somehow I was tired about start competitions with other "regs" btw forums and tables. The WHY must be make money, at least for me so... I take a read to most part of your articles, I reviewed my approach to the game at those levels and I restarted playing after a year or more from NL2 zoom (despite you prefer normal tables). Well man... at begin I thought about good run... after 50k hh I've 12bb/100 and, after some adjustments in this week I'm mantaining after 12k hh 20bb/100 which is absolutely run dependent (i'm aware about this...) but I really dont see in the long term (100.000 hands and more) to take a lower WR of 12bb/100. Playing tight, bet for value, avoid silly bluffs against people with WTSD 30 or so and read REALLY the HUD exploiting the few competitive regs and the most regfishes. Before approaching again the game after reading your my main stats were 17/15/4 3bet 4 with a shamefull fold to 3bet. Now I'm playing 20/19/9 and with much more attention about position and game leading. Thank you man!!! I sit being sure I'm one of the best on this level (which is not so a big result indeed lol) and I approach the game with confidence. Cause I know that at end I'll win. With my next cashout I'll buy your book. You deserved. Great work Simone! Glad I could help in any way. I think Zoom at the lowest limits is still largely a fishfest. As you move up it gets harder though. Yeah, I was thinking about playing normal tables (as I did in the past) but somehow I cannot really stand too many tables opened. My top was 9 but still hard for me to follow and read the HUD properly. From other side I think that less hands and more quality should be a boost for my winrate considering my target is make money and not make hundred thousands hh per month. Do you suggest me to try to come back to normal tabling 6/9 tables? I had that same problem with the regular tables, opening more than 6 tables would make them too small for me to understand the numbers on the HUD and I'm not really a fan of stacking the tables. Hope you keep crushing it! This is a problem for many people. You could try stacking your tables as I talk about in this article. This way there is less head and eye movement. And the HUD just updates as each table pops up. The downside of course is that you cannot watch other tables during downtime. Yeah but somehow I feel uncomfortable not watching the action. Sick. Anyway the trip continue and I closed this week with 20k HH with 17bb/100 playing 21/19/9 and being 110% confident! Overall 37k HH at 15bb/100 great feeling. Sadly i've to cashout a percentage of the NET won for some personal needs but step by step the BR grows up. Honestly I'm not yet thinking to move up, at least not before being 30x stacked for the 5NL.without weekly cashouts I would be ready. But need some extra money in this period. Hey Nathan inspiring blog! I remember back in the day when I started playing just for fun on Facebook (zynga poker) even though I wasn't really good at it the game was just too fun to stop. After a long while I was finally able to play NL10 and I'm currently building my BR to take a shot at NL25 after spending a few years just grinding NL2. Do you still play on Pokerstars or you made the switch after all the changes they've been doing? Keep up the good work and take care! Hey Jorge nice work! I still play on Pokerstars a little bit but I have been playing more elsewhere for several years now. My lightbulb moment was when I got your CTM book for Christmas! Do you think it is worth switching sites to get the welcome bonus, then switch to another, then to go back when they offer you a reload bonus and so on? Awesome, glad the book helped! Some people are into chasing bonuses. As long as you can play enough to clear it then I don't see why not. I can honestly say my lightbulb moment was finding this website, reading every article on here and the two books you have published. I was always drawn to poker, I would play a little online and lose, either through bad luck or poor play then stop for a while. After studying all the information on here and in your books I've gone pretty quickly upto NL10 and I'm currently crushing that level too. Thank you for everything you've done for my game and I'm always looking out for new articles you bring out. Hey Kieron, thank you so much for the kind words. I am happy that my material has helped you. Continued success as you move up! thank you for all your posts. I recently found your blog and read almost all of ur posts, very helpful and well thought strategies. I have question but it is a bit out of topic sorry in advance for that. What u think about Stars software? I started with 40 dollars on 2NL and made it up almost 250, but fell again 150 around. Hi Memo, glad my blog is helpful for you! I think Stars software is the best in the business. "If there comes a day when there are no more bad players in poker I will quit the game forever... But that day has not arrived." Wonderful! "...and alas! that day will never come till doomsday!" ha-ha! Haha, no problem. This game is maddening to everyone at times. Glad my book helps! I am not sure if you still are doing videos, but can we get a BlackRain79 transitions to Microstakes PLO series? Sorry but I don't play enough PLO to feel comfortable making such a series. I sometimes kick myself because I started playing poker after watching moneymaker on ESPN and not after I watched Rounders for the first time. It might not have made a difference because it been way over a decade since Moneymaker won the main event and it seems like the light bulb is just starting to go on for me. Like you (unfortunately for me we probally don't have that much in common poker wise) I started playing for play money. I liked the game and was anticipating friends/people would start playing more often at parties after Moneymaker won. Never kept track but I'm sure I was ahead. Your blogs have been the light bulb going off for me, I truly understand playing the man and not the cards more than ever. More often than not be the first raiser pre flop (pot sized raise), c-bet post flop (pot sized raise) take pot down. It works so much. You did mention a phrase a few times in the article "find the fold", that I need to do a little more often to see even more success.